Are you ready to test and analyze next generation Passive Optical Network (PON) technologies? 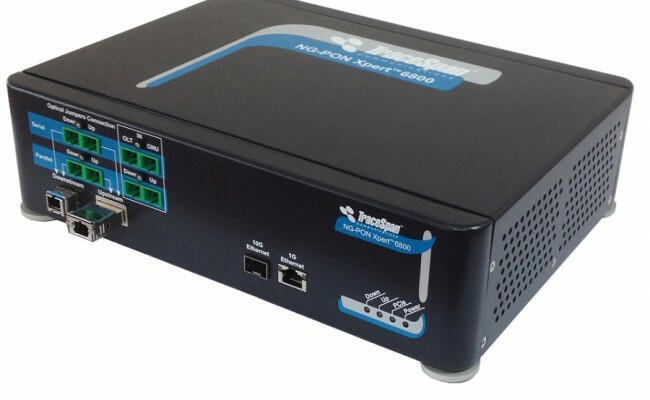 The NG-PON Xpert multi-layer analyzer is a unique, real-time protocol analyzer for XG-PON1, NG-PON2 and XGS-PON networks and products. Are you ready to test and analyze next generation Passive Optical Network (PON) technologies? 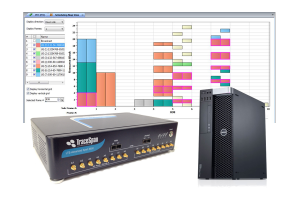 The NG-PON Xpert multi-layer analyzer is a unique, real-time protocol analyzer for XG-PON1, NG-PON2 and XGS-PON networks and products. It supports the symmetrical 10G and asymmetrical 10G/2.5G options of XGS-PON, as well as TWDM-PON with 4 pairs of wavelengths for NG-PON2. Wavelength switching is software-controlled, supporting both a fixed mode with a user-selected pair of wavelengths, and selection of an ONU which the NG-PON Xpert can follow in case of Handover. Specifically designed for R&D, laboratory and field application engineers, NG-PON Xpert is a neutral, unbiased testing tool that helps operators and equipment vendors accelerate time-to-market by cutting significant time from development, deployment, troubleshooting and performance testing. The NG-PON Xpert can be connected near the OLT or near the ONU/ONT, enabling testing of the entire PON and focusing on a selected ONU/ONT. Using multi-layer probing capability it lays out a comprehensive picture of the protocols and traffic running through the PON through intuitive displays, graphs and tables. NG-PON Xpert can also serve as an OLT Emulator for testing an ONU on a stand-alone basis. It can generate PLOAM messages to activate the ONU as well as serve as an OMCI Master to generate and transmit OMCI messages. The NG-PON Xpert OLT Emulator combined with the analyzer provides an integrative ONU conformance test tool, which simultaneously generates commands, analyzes the ONU response, compares its behavior to the expected one and reports any incompliance it detects. 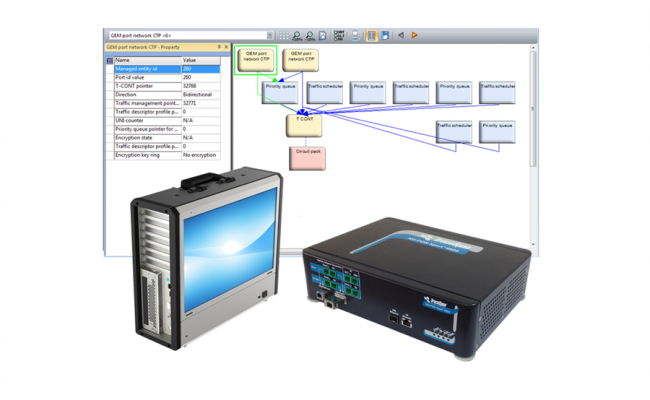 NG-PON Xpert features a rich array of intuitive displays, graphs and tables for testing and troubleshooting of the PON components. The displayed information includes network topology, events, parsed messages of downstream and upstream data, OMCI relations diagrams, VLAN routing analysis, performance monitoring tools and connection links status between the OLT and the ONUs/ONTs.